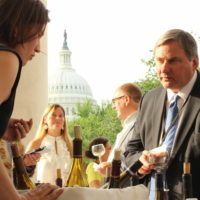 The National Wine Policy Conference features learning, advocacy, and networking in our nation’s capital. Taking place at the Phoenix Park Hotel, on Capitol Hill, this meeting is the industry’s opportunity to make its voice heard. 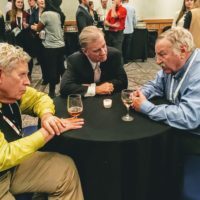 The conference will feature meetings of the WineAmerica Board of Directors and the State and Regional Association Advisory Council and a comprehensive public policy update from the WineAmerica Government Affairs team. After a year long hiatus, the “Wines of America” reception will return. 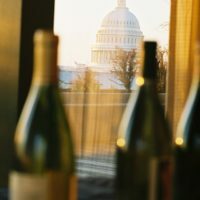 The reception will feature wines from over 20 states, demonstrating the importance of the American wine industry to Members of Congress and their staff. The 2019 Grape & Wine Policy Conference is your opportunity to make a difference regarding the laws that affect you. 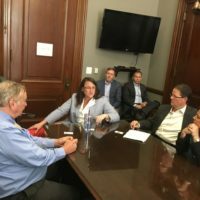 WineAmerica will be coordinating meetings with key congressional staff for our entire group, but if you plan on meeting with your individual state delegations we encourage you to make those arrangements on your own. 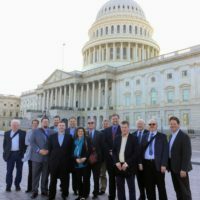 The WineAmerica full group meetings will show congressional staff a united wine industry and will take our national message to key stakeholders. 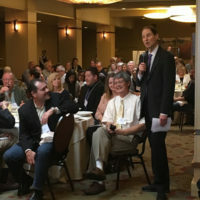 The individual state delegation meetings will allow for attendees to share state specific issues, as well as the larger national priorities. The Conference will be held at the historic Phoenix Park Hotel. The Phoenix Park Hotel is where sophistication meets comfort. The historic Washington DC hotel remains loyal to the style of the original 1920’s architecture while embracing a contemporary guest room design suitable for both the corporate or leisure traveler. Nightly entertainment enlivens the mood at The Dubliner, the classic Irish restaurant and bar where guests are treated to authentic Irish / American cuisine. Located in the heart of Washington DC the Phoenix park is just steps from Union Station, the US Capitol and all the history and the evolving attractions that Washington, DC has to offer. and referencing the Wine Policy Conference or can be booked at www.phoenixparkhotel.com and using the reference code of 22531.